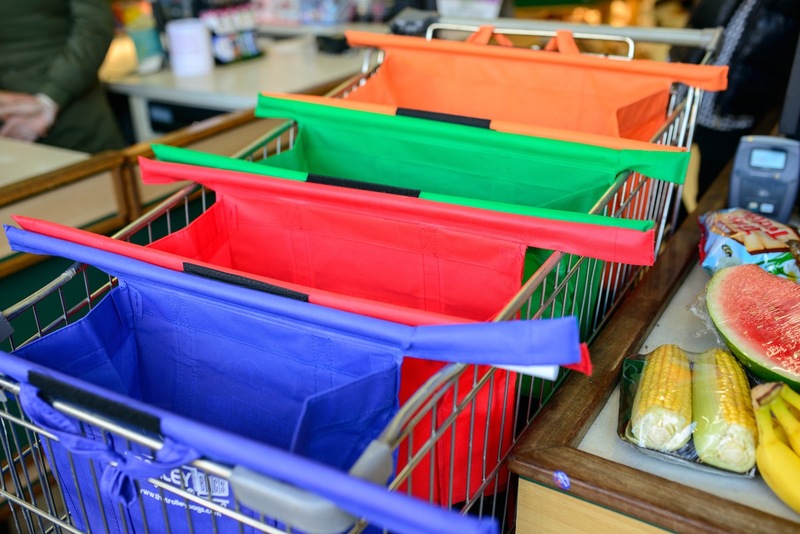 Make grocery shopping quicker and easier with the Tolley Bags Reusable Shopping Bag System, with a complete system of four reusable bags. 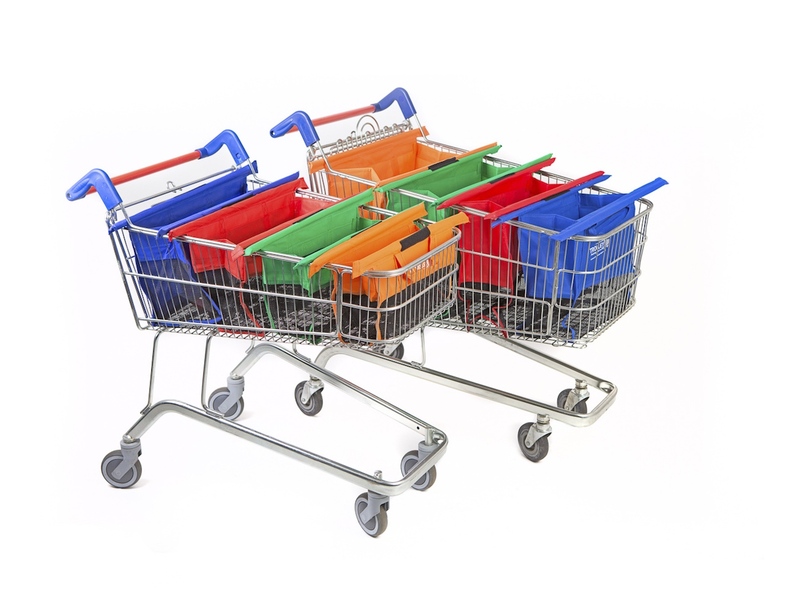 Make grocery shopping quicker and easier with the Trolley Bags Reusable Shopping Bag System. 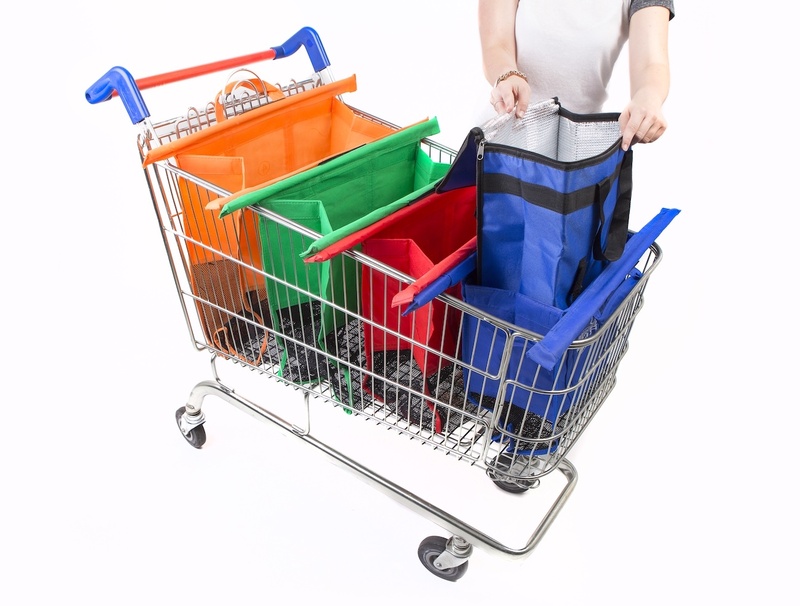 These bags from Packing Sorted feature a complete system of four different sized reusable bags that attach together with Velcro along integrated rails. 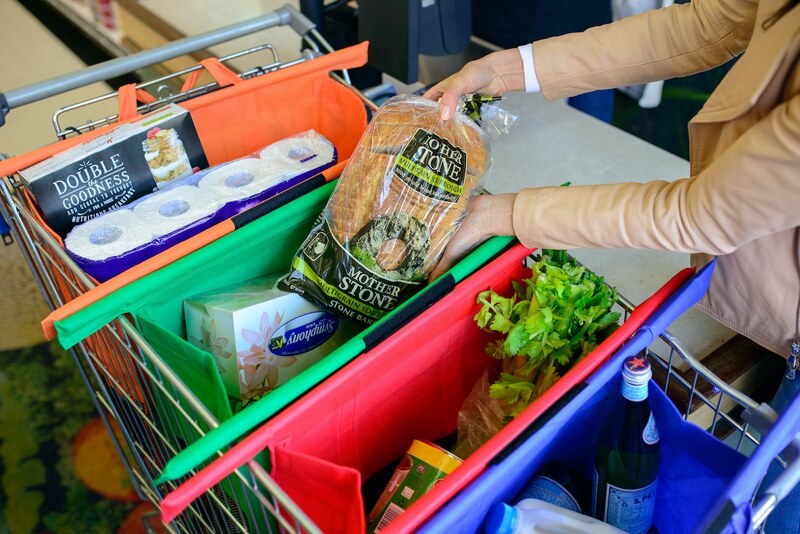 This system allows you to pack your grocery shopping directly at checkout as you scan your items. 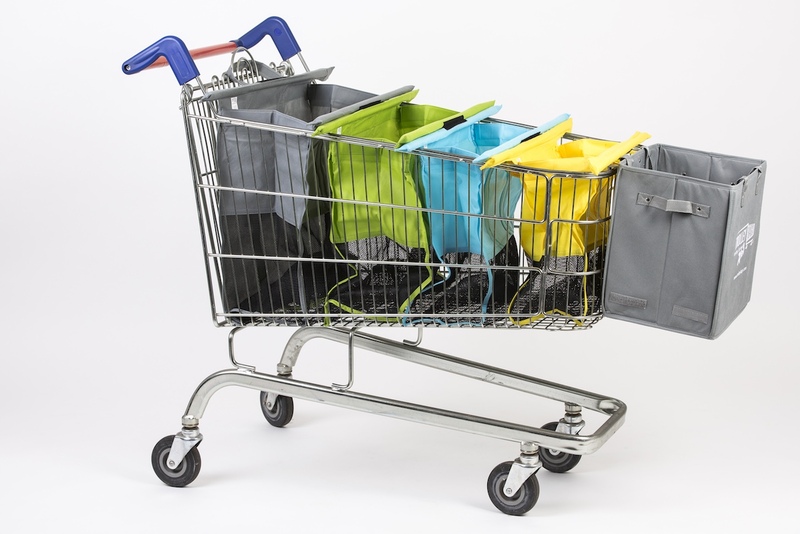 Additionally, you can rack Trolley Bags into the trolley once you enter the store and keep them open and upright while you shop. 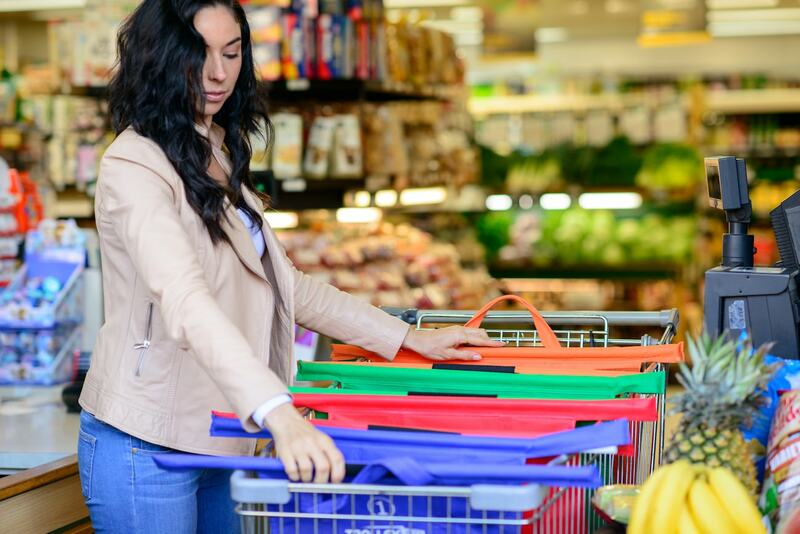 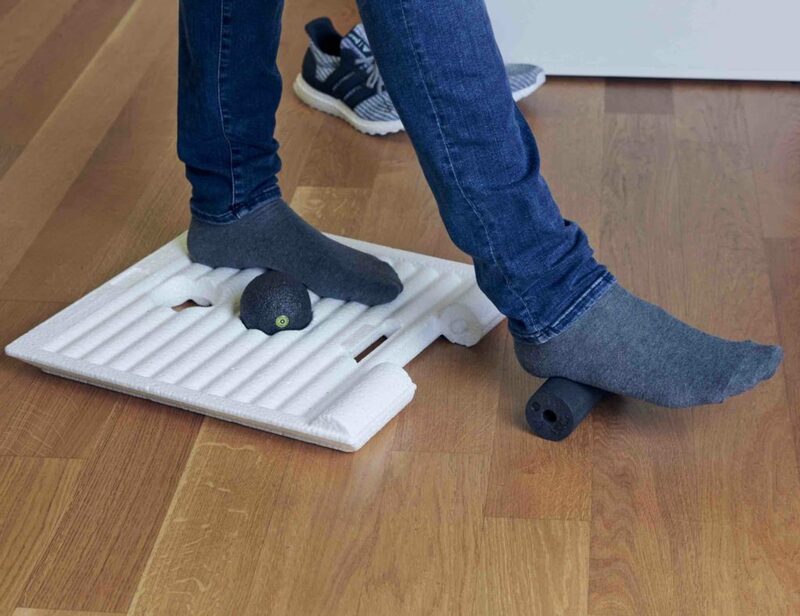 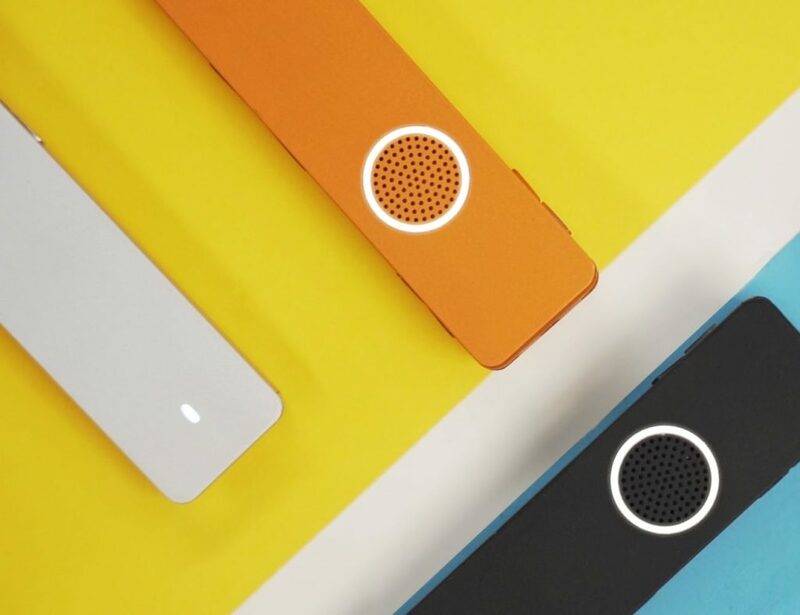 The four color-coded bags fan out and spread across the top of any shopping trolley, enabling you to pack the way you want. 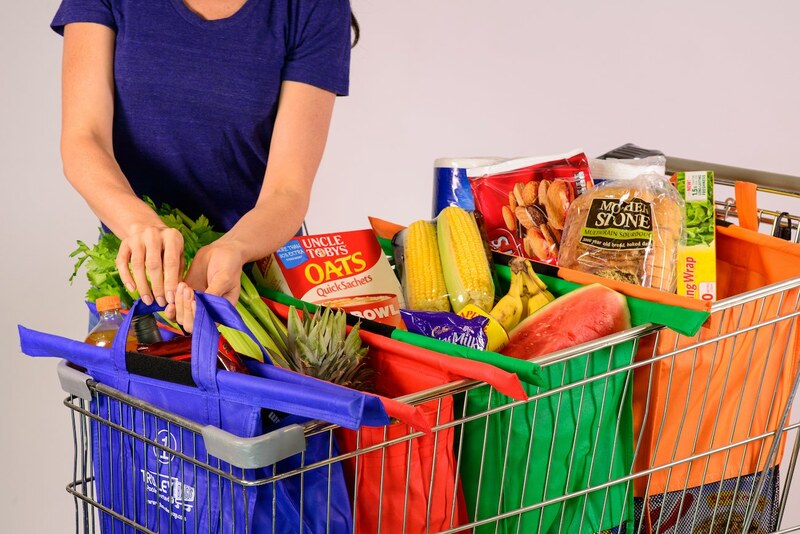 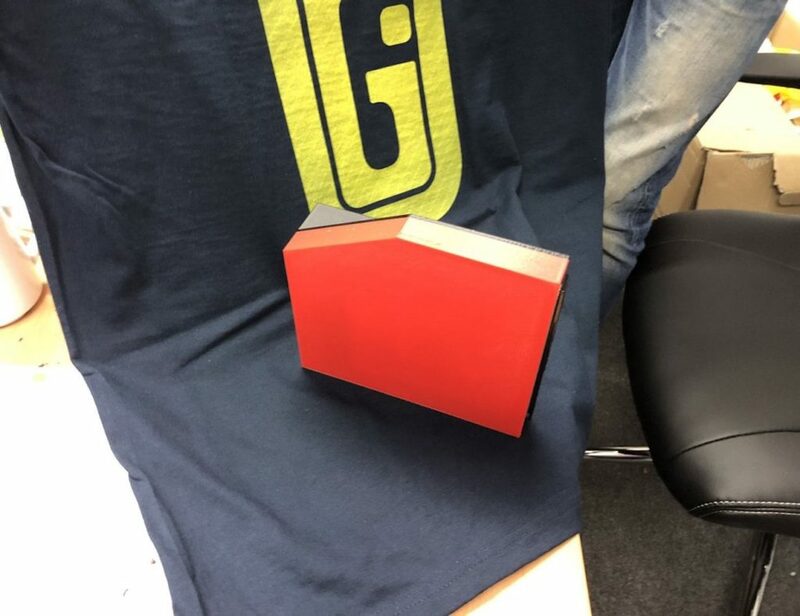 You can place the small bag at the front for the smaller, heavier items and lighter, bulkier items in the big bag at the end. 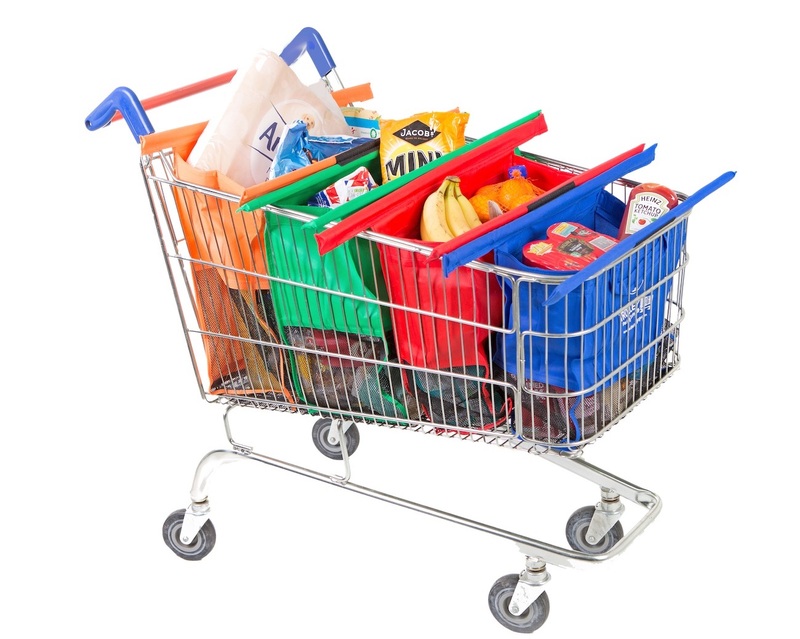 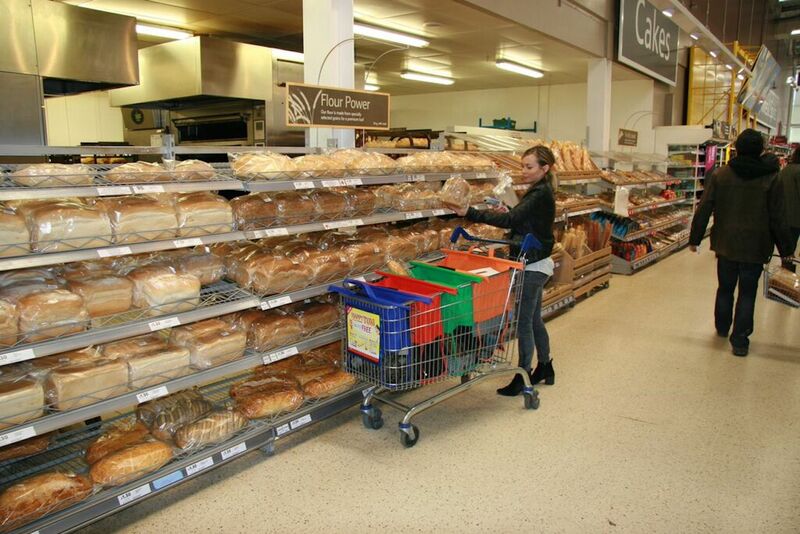 Plus, the Trolley Bags come in two sizes to tackle your big weekly shop as well as your short trips to the store. 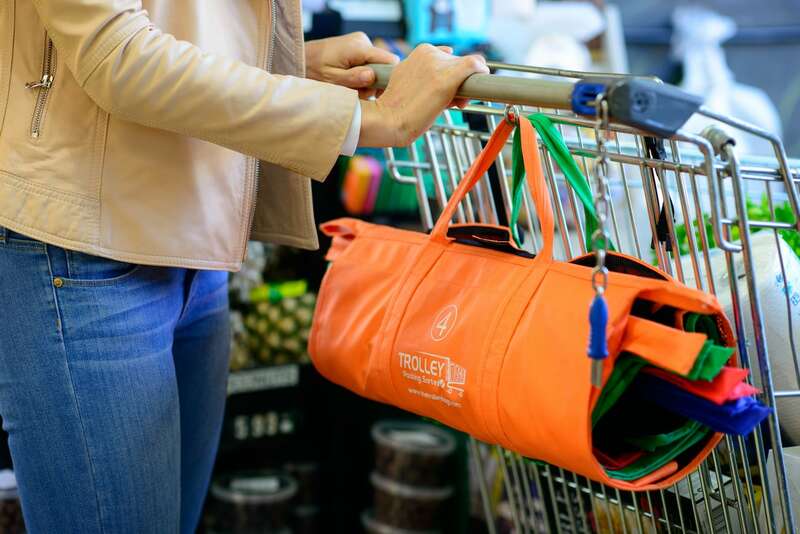 Once your shopping trip is complete, it folds down for easy carrying and storage.